This is a fine debut and a much needed shot of trad doom, with actual songs, - in an era of obsession with amps and pedals (but without, you know, actual songs and stuff). It is a triumph for this intrepid trio and surely there are great things to come for the band. Make no mistake, Wretch are here and Wretch will bring you real doom or throw you out of the bar if you don't like it. For me, it was an exultant thought of “at last!” when this album came through for review. Regular readers of The Sludgelord will know what high regard I hold Wretch main-man Karl Simon's previous band, The Gates of Slumber, in. TGOS are one of the best doom bands of all time, end of discussion. The split of the band and the untimely passing of bassist Jason McCash (much missed) meant that Simon would have to rise, phoenix-like, with a new band. 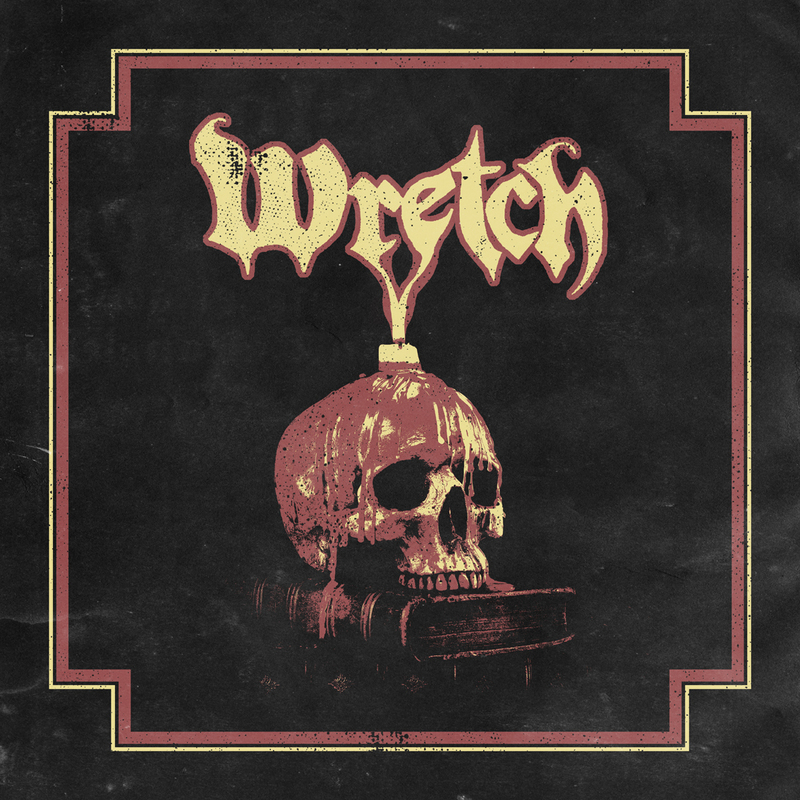 Wretch show from the off that they are a trio to be reckoned with. Out are the Conan/sword and sorcery tropes of the TGOS, in are the street level stylings of Saint Vitus; doom, despair and downers. “Running Out Of Days” kicks things off in great style. As an opening statement of intent, as a stand alone track, as a return for Karl Simon: it is a triumph. It has all that is great about doom; cracking riff, good thick AND clear production, great hook and theme. A banger. “Winter” has an insistent main riff and a creepy feel, reminding me of a lowed down and fuzzed up early “Judas Priest”. “Icebound” is the record's central pillar, and the only song of epic length- coming in as it does at over eight minutes. The arrangement is pure doom- massive riff, vocal, solo, vocal and so on. This is doom in its purest form; unadulterated and unadorned (Sabbath-esque fast section guaranteed). A cowbell also features here, praise the dark lord! “Grey Cast Mourning”is a rather moving clean guitar instrumental with lots of tape hiss and character- a more musical cousin of something Mr Chandler might whip up, perhaps. It works as a fine intro/bridge into the excellent “Drown”- which rounds this seven track album off in strong style. Downtuned and downcast, this is a rip-ride of a track; slow and crushing. Karl Simon has managed to bring the more direct elements of his previous band (and of the genre's other greats) and combine them with his distinctive vocal and guitar style to make Wretch work as a band. As a reference point, think of the final album by TGOS (obvious, considering the title) combined with the more street level bands of doom. This is a fine debut and a much needed shot of trad doom, with actual songs, - in an era of obsession with amps and pedals (but without, you know, actual songs and stuff). It is a triumph for this intrepid trio and surely there are great things to come for the band. 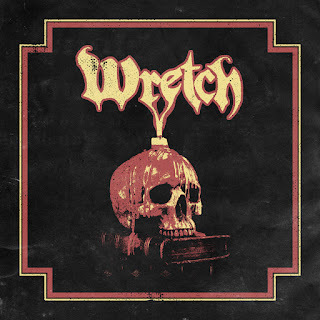 Make no mistake, Wretch are here and Wretch will bring you real doom or throw you out of the bar if you don't like it.